On June 1, 2018, New Jersey Governor Phil Murphy signed into law the Out-of-Network Consumer Protection, Transparency, Cost Containment and Accountability Act (the “Act”), available at: http://www.njleg.state.nj.us/bills/BillView.asp?BillNumber=A2039, which becomes effective on the 90th day after enactment. The Act enhances consumer protections related to surprise out-of-network healthcare charges, and affects health care facilities, health care professionals, and health insurance carriers. Requirements under the Act specific to facilities, professionals, and carriers are summarized below. Health care facilities or carriers that violate any provision of the Act will be liable for not more than $1,000 for each violation, where each day on which a violation occurs is considered a separate violation, up to $25,000 per occurrence. 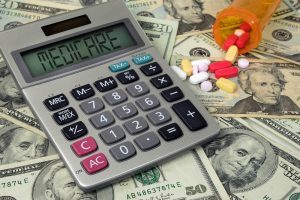 Health care professionals who violate the Act will be liable for up to $100 per violation, where each day on which a violation occurs is considered a separate violation, up to $2,500 per occurrence. Other penalties may be initiated by the Commissioner of Banking and Insurance, the Commissioner of Health, or the relevant professional or licensing board, as appropriate, pursuant to rules that may be adopted under the Act. Dana handles a wide variety of regulatory, transactional, litigation, and corporate matters for hospitals, health systems, physician practices, nursing facilities, and other health care providers. Her experience includes ensuring clients’ compliance with federal and multi-state health care laws and regulations.